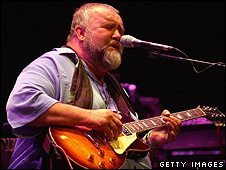 John Martyn, who has died at the age of 60, was widely regarded as one of the most soulful and innovative singer-songwriters of his generation. His music - a marriage of blues, folk, dub and funk - has been cited as an influence by artists as varied as U2, Portishead and Eric Clapton. Although he rarely troubled the charts, many of his albums - especially Solid Air - are regarded as classics. But the singer battled with drugs and alcohol throughout his career. Born Iain David McGeachy in New Malden, Surrey, Martyn's parents divorced when he was five. He spent his childhood alternating between his mother's houseboat in England and his father's home in Scotland, where he was exposed to the music of both the Presbyterian Church and the English music hall. Moving to London in his late teens, he became a fixture at Les Cousins - the Soho club at the centre of the city's folk scene, which also spawned the likes of Ralph McTell, Bert Jansch and Al Stewart. Soon after, he became the first white act to be signed to Chris Blackwell's Island Records, and recorded his debut album, London Conversation, for £158 in 1968. On the road, he began to experiment with electronic effects - notably a tape device known as the Echoplex, which provided his signature sound. By 1969, he was married to blues singer Beverley Kutner, with whom he recorded 1970's Stormbringer in Woodstock, where the couple lived near Bob Dylan. "Jimi Hendrix owned a house literally over the road," Martyn said in 2007. 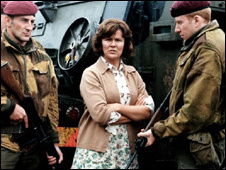 "He used to fly up every Thursday in a purple helicopter. He was very quiet and used to tell me how much he loved the animals." Martyn cemented his reputation with 1973's Solid Air, described as the "musical equivalent of a reassuring hug" by Q Magazine, which named it the 67th best British album of all time in 2000. The haunting title track was dedicated to his friend and fellow singer-songwriter Nick Drake - who died of an overdose shortly after it was finished, aged 26. The following few years saw Martyn descend into alcoholism, with live performances swinging erratically between moments of inspired genius and incoherent inebriation. The singer later recalled an occasion in Spain where he had been so drunk he fell off the stage. "I still got three encores," he noted. Inevitably, however, the substance abuse took a toll on his personal life and his marriage broke up towards the end of the 1970s. Grace and Danger, released in 1980, presented a painfully honest depiction of the divorce - and Martyn later told recording engineer Phil Brown that "he had never written a good song since" leaving his wife. 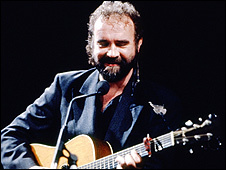 Nonetheless, his subsequent albums - Glorious Fool and Well Kept Secret (the former produced by Phil Collins) - were the highest-charting records of his career. In the late 1990s, Martyn began to experiment with electronic dance sounds and scored a top 40 hit as a featured vocalist on Deliver Me - a dance record by Faithless musician Sister Bliss. But his life continued to be blighted by drug dependency and alcohol abuse. In 2003, he had to have his right leg amputated below the knee after a cyst the size of a golf ball burst (although Martyn told some reporters he lost the limb after crashing his car into a stray cow). "It only affected me getting in and out of bed, cars and theatres," he told The Mirror in 2008. "I wasn't too pleased about it, but whatever happens to your bod, happens. I'd have died if they hadn't cut the leg off. My blood would have been poisoned." The singer, who took to performing in a wheelchair, told Q Magazine he had no regrets. "If I could control myself more, I think the music would be much less interesting," he said. "I'd probably be a great deal richer but I'd have had far less fun and I'd be making really dull music." Shortly before his death, Martyn was appointed an OBE in the New Year Honours.